ATLANTA (AP) — Republican Brian Kemp’s campaign declared victory Wednesday in the Georgia governor’s race, though Democrat Stacey Abrams insists that enough ballots remain to leave open the possibility of a runoff in a race that Kemp oversees as secretary of state. 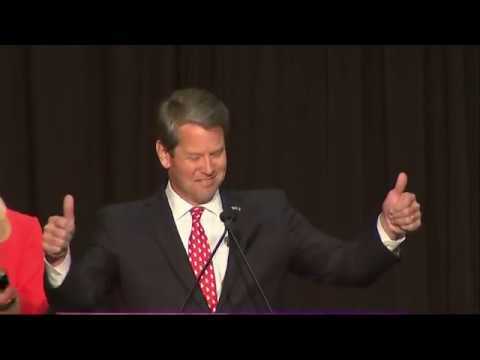 The Abrams campaign responded late Wednesday that Kemp’s state office had not shared with the public or with the Abrams’ campaign the detailed data behind his claims, instead asking Georgians to take him at his word. The stand-off leaves open the possibility of litigation as Abrams’ campaign has spent the day pushing for the continued counting of absentee, mail-in and provisional ballots and renewing its concerns that Kemp remains the chief elections officer supervising his own election, a race already marked by disputes over the voting process.